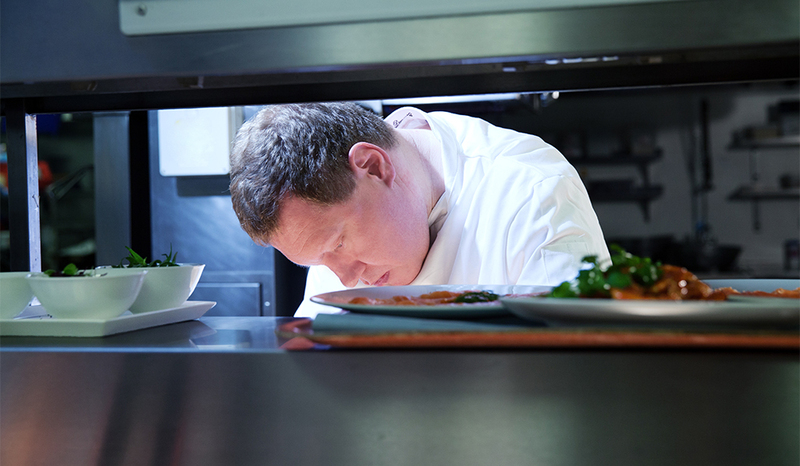 Introducing Paul Muddiman - Our Executive Chef from Les Ambassadeurs on Vimeo. I was schooled in the French techniques and traditions. Kitchens where there's an emphasis on regional French flavours and Les Plats Principaux (famous main dishes). But even before that I was copying my father in the kitchen, gaining an early appreciation for quality ingredients and the craft of cooking. He was an Executive Chef also, and when I was 16 I decided that I'd emulate him and pursue a career in the kitchen. Now he's 67 and still as passionate as ever, teaching young chefs with just as much enthusiasm as he did when he taught me. 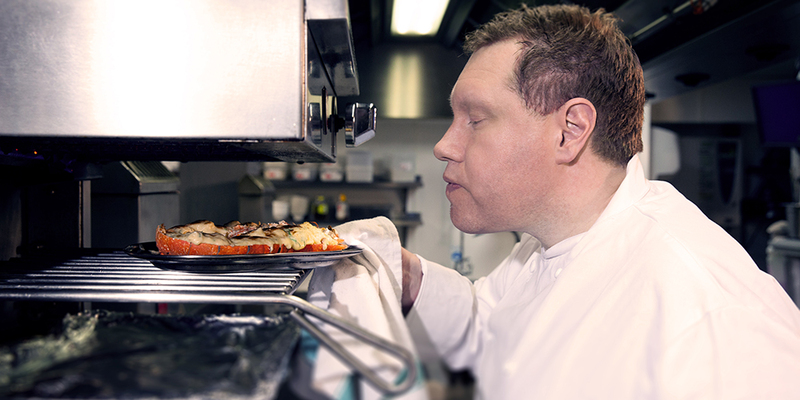 Deciding that the French kitchen would be the place for me to cut-my-teeth, I started working at Le Meridian Hotel in Piccadilly, which then, was one of the leading French restaurants in the capital. Francophone gastro-greats would visit, and on occasion, Raymond Blanc and the Roux brothers would enter the kitchen and speak to the young chefs, passing on advice and expertise to our wide-eyed amazement. During this time, the hotel consultant chef was Jean-Michel Lorain. Lorain held three Michelin stars at his restaurant La Côte Saint Jacques in Joigny, within the Bourgogne region. He was a wonderful mentor and installed in me the ideals to which I maintain today. Lorain's enthusiasm and passion for history, culture and the ingredients and flavours of France - particularity the Burgundy region where he was born and the central-French plates of “The Burgundian Table”: Escargots à la Bourgogne, Boeuf Bourguignon and Coq au vin - inspired me to study the classics further, and I began visiting France as often as possible. The French attention to detail, of which they are known and acclaimed for, challenged me to become educated in haute cuisine and recreate many of the classics. This devotion compelled my repeat visits to France where I dined at the very best restaurants and developed my skill and dexterity from the masters. On a recent return I met with Alain Passard at his three-star restaurant L'Arpège in Paris. We were able to discuss recipes and cuisines and exchange ideas, discussing his garden produce and playful creativity. It's these fine-dining experiences and story-sharing with great minds of the kitchen, that is a constant source of creativity for me when working on the Les A menu. I'm influenced by the great kitchens of the world; in Paris, New York, Las Vegas and Dubai, and I learn and adapt ideas from these experiences to create my culinary signature. As a club with a truly international and well-fed membership, I'm able to address the tastes and desires of each Les A guest, having experienced global grub myself in every corner of the world. The relationship we have with our suppliers is one of Les A's greatest strengths. It gives us an open dialogue with the farmers, fishermen and butchers who supply the restaurant with the very best produce, and means that we're able to serve the likes of white asparagus, hand-dived scallops, Bluefin tuna and Dover Sole Meunière, fresh, in-season and at the height of the ingredient's life. The challenge I have day-to-day is to address the tastes of the client without modifying a recipe too much, using what local and seasonal produce is available. Members have an expectation here, so you have to have an open-mind because you're not always making something from the menu, so I work on my toes, ready to prepare any dish requested. 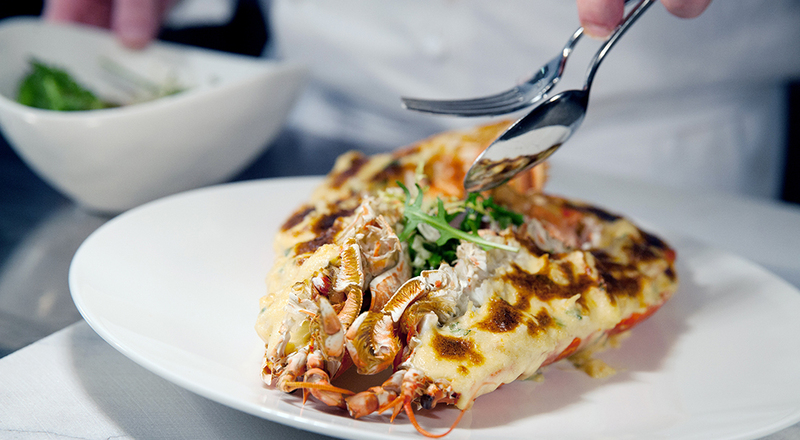 It's not just about creating the perfect dish for our diners. It's about much, much more. It's about continuing to learn and adapt. To create an international menu that takes you on a culinary and geographical journey. Our house is their house. Members are comfortable here and food is the greatest comfort of all. The highest compliment we receive is when a Les A member calls the club for a home-delivery. 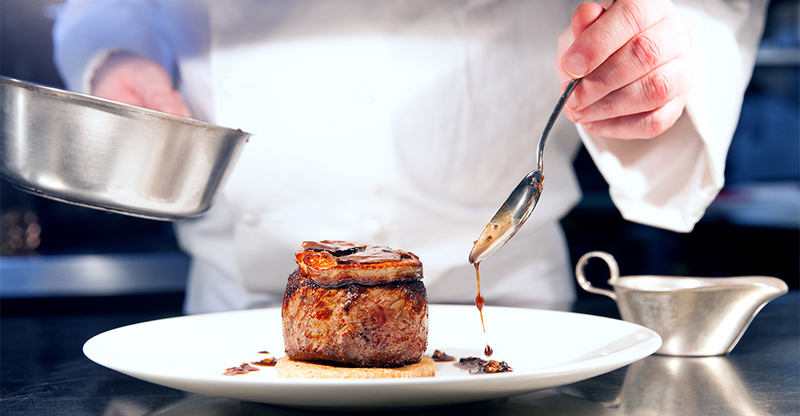 From all the restaurants and deliveries available in London, it's our restaurant and our cooking they turn to. This is a tribute to the kitchen team and their talent, and all the hard work they do around the clock. Ebert Hubbard once said that 'no one gets very far unless they accomplish the impossible at least once a day'. It's a lofty ambition, to strive for the best and achieve the impossible, but at Les A we welcome the challenge.